REVIEW by 'MAJW' 28/9/2015 Jamie did what he was supposed to. He made sure the sale went through. He was very professional despite a difficult sales process. REVIEW by 'ASG' 25/9/2015 I recently purchased a three bedroom flat through Hausman and Holmes. I dealt with Jamie. I found him very honest, efficient and knowledgeable of the local housing market. Very professional. He guided me through this purchase and ensured that everything went very smoothly. They keep everyone informed at all times and are very hard working. They are a cut above the rest! I highly recommend them and would definitely use him and his team again! I look forward to dealing with them again. REVIEW by 'Nicki' 13/7/2015 I have been working with Hausman and Holmes for a few years now and have always been very pleased with the service offered. They always do their best to find good tenants for my properties . Adam is efficient, thorough and pro active. I would recommend Hausman and Holmes to anyone in the area. REVIEW by 'Tenant' 22 Sep 2015 I would like to share herewith, that I am very pleased and grateful for the assistance, time, efforts and above all excellent customer service that Adam Rosenfeld has provided me with, as a tenant in a Hausman and Holmes property. Adam is an agent who is affable, professional, timely in his responses, thorough and makes another's concern his concern. This is much appreciated. For example, I needed to set up a broadband connection, have particular furniture requirements due to special circumstances and this was all accommodated in communication with the landlord. When I was not able to respond due to work, Adam kindly liaised with my family members to move things forward. With building work delays out of his control, Adam was apologetic, endeavoured to keep me updated with progress as best he could and appreciated my patience and understanding. In a door key emergency situation and some trouble shooting with a blind - Adam was available EVEN outside his normal working hours. I do not expect or demand such a level of service or wish to take it for granted but rather, I am very grateful, and moreover it is testament to Adam's commendable, considerate and dedicated level of service that he has kindly helped out in such circumstances. I am happy in this property, it is ideal for my current situation and I appreciate Adam's help in assisting me to find and secure it. I feel confident that my time here will be carefully and attentively managed. Many thanks to Adam beyond these small words and to all the Team at Hausman and Holmes, for Adam's colleagues are also very helpful when he is away from the office. I can not say enough positive things about Adam. I walked in off the street and got excellent service right from the beginning. He came immediately to see the flat, listened carefully and asked appropriate questions to get to know the unique property and closed the deal with patience and understanding. Within 24 hours he had numerous viewings through the door, all of which he conducted with expertise, wisdom and empathy for the prospective tenants needs. He clearly knew his customers well and understood what they wanted from a home. Adam always called me after the viewings and gave me feedback and was genuinely supportive about our process of renting. He gave me great advice and was a real pleasure to deal with. An absolute professional in every sense. Thank you Adam for all your hard work i would recommend anyone to leave their property in your expert hands. I wanted to write to express how impressed and reassured I was throughout my house move by Hausman & Holmes’ exceptionally professional, helpful and friendly approach. My move was a pretty stressful one… I was involved in a long chain and I think it is fair to say that people above us in the chain, some estate agents and certainly our own lawyers were sometimes awkward, obtuse, unhelpful and counter-productive. Thankfully Hausman & Holmes were the precise opposite and, in my view, are the key reason why the entire chain did not collapse. Needless to say, I wouldn't hesitate to recommend Hausman & Holmes to anyone buying or selling a house in this area. Richard you have been great. Thank you. We are very pleased with the services provided by Hausman & Holmes. The sales agents are very knowledgeable of the local market and the area. They have provided invaluable advice on the interior design and the positioning of our flats to broaden the appeal and maximise the value for us. Importantly, Hausman & Holmes were always helpful, proactive and prepared to go an extra mile for their customers. Just also wanted to say I met the father of the new tenants of number 10 who seemed very nice. However more importantly I met with Adam who I have to say is an extremely nice chap - professional and speaks really well. He is a credit and great asset to your company and it was a pleasure meeting with him. It is with delight that I share my experience of a pleasant service provider-customer relationship with Hausman & Holmes, the professional estate agent I have known for 13 years since its inauguration. The letting of my investment property in Golders Green over the years has been expertly looked after by Joseph, who is able to always keep me at ease, with all the complications of property letting well sorted before they ever come to my knowledge. Astutely at the helm of the sales department, Richard has been exceptionally accurate in his assessment of the property market behaviour. I sold my property at a market upturn which he had precisely predicted 18 months before, at a price both the buyer and the seller found favourable. He has conducted the transaction with a highly professionalised routine and yet with a caring personal touch. At Hausman & Holmes I find both the expertise comparable to that of international chains and the personalised attention of a neighbourhood shop, with my questions getting answered almost immediately. I withhold no reservation in recommending Hausman & Holmes to anyone seeking to rent/let or buy/sell a property in North London. REVIEW by 'Ali A' 5/12/2014 In deciding to choose an agent for the sale of my house, a friend of mine, who owns several properties in the area, recommended Hausman & Holmes above the 6 or 7 other established agents in the area, a recommendation for which I am now very grateful. From our initial meeting at the property, Richard Dangoor took charge of the sales process and saw it through to its successful conclusion, having mutually agreed to deal with most aspects of the transaction via emails and phone calls. After a number of viewings, Richard put forward an attractive offer from a cash buyer which I accepted, meaning that the entire process from valuation to completion took a little over 8 weeks, with very little effort or input on my part. That is fast by any standards. In an industry which, frankly, most people don’t believe has the best of reputations, I am pleasantly surprised, and fortunate, to have found one which disproves the stereotype. My thanks to Richard and his team….very happy to recommend. Ali A. REVIEW by 'Aneta' 8/12/2014 Richard was fantastic to deal with. He was professional and did everything he could to find a buyer in no time at all. He kept us updated on the progress at all times. He is friendly to talk to and a pleasure to do business with. Would highly recommend Richard to anybody who wants to sell or buy a property! 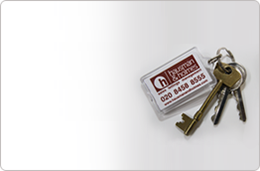 REVIEW by 'Manesh Patel' 17/12/2014 Having used Hausman and Holmes for over 6 years now, there is no other Estate agent in Golders green I would consider switching to. Having recently purchased another property to rent, I found Adam Rosenfeld to be very cooperative obtaining the best tenants suitable for the property at the time frame & rent we wished to achieve. Richard & Joseph also have always been exceptionally professional & customer focused and provide Inventories & photographs second to none giving myself as a Landlord a peace of mind knowing my property is in great hands for the 12 month period. REVEIW by 'Letting Line' 28/12/2014 VENDOR: I have an excellent business relationship with Hausman & Holmes for a number of years. Have bought properties from them and they have managed to successfully sell many of my properties. They have always provided top quality service and I would highly recommend them if anyone is looking to buy or sell their properties. Continue the hard work and all the best. Purchaser: Richard Dangoor was the agent worked with us on buying a property in the NW4 area. Richard was very helpful throughout the process he was always available and willing to answer any questions that we had and was very transparent throughout the process. I would recommend Hausmann and Holmes to any prospective buyers and would not hesitate to use them again when buying or selling a property in the future. From the VENDOR: Decided to use Hausman & Holms after failing to sell through another agency. The agent was very experienced & knew his market very well. The sales process took a little longer than expected due to some glitches caused by the Barnet Council and NOT the agency. Managed to complete and happy that the flat is now sold and I can move on. Many thanks!! !